Happy Earth Day everyone! The first Earth Day, celebrated on April 22, 1970, brought unprecedented public attention to environmental issues. 43 years later, we continue this tradition. I recently came across this drawing and find it appropriate for sharing today. 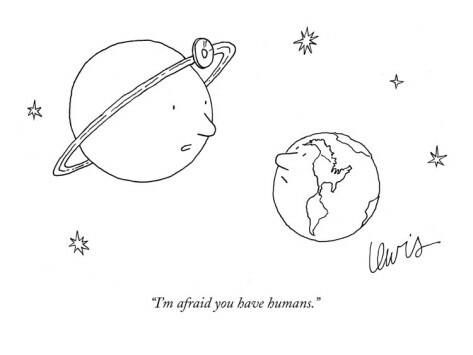 When Earth asked the doctor for a diagnosis, the doctor replied, “I’m afraid you have humans.” Well all is not lost friends, we can each pledge today to do our small part to heal our planet!